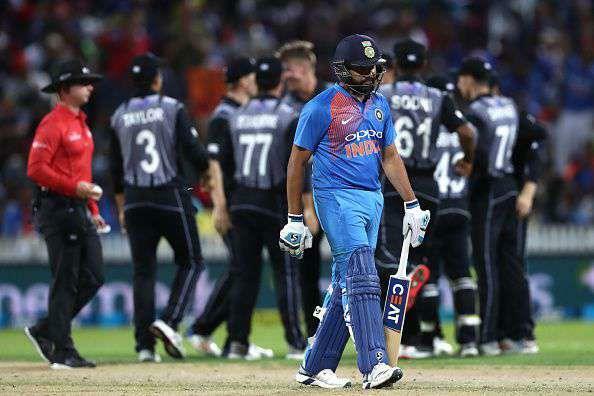 Hamilton, Feb 10: India skipper Rohit Sharma expressed his disappointment after losing Twenty20 series 1-2 against New Zealand here on Sunday. India lost the last and the final Twenty match here at Seddon Park against New Zealand by 4 runs. "Pretty disappointing to not get to the finishing line. 210-odd was always going to be tough, and we were in the game right till the end, but New Zealand held their nerve well and they deserved to win," Sharma said at the post-match presentation. "We started off well in the ODIs, and the boys will be disappointed not getting to the finishing line in the T20s. Lots of positives, and a few mistakes, so there’s a lot of material to move ahead. It would have been nice to win the series and go home and play Australia, but unfortunately we couldn’t do that," he added.